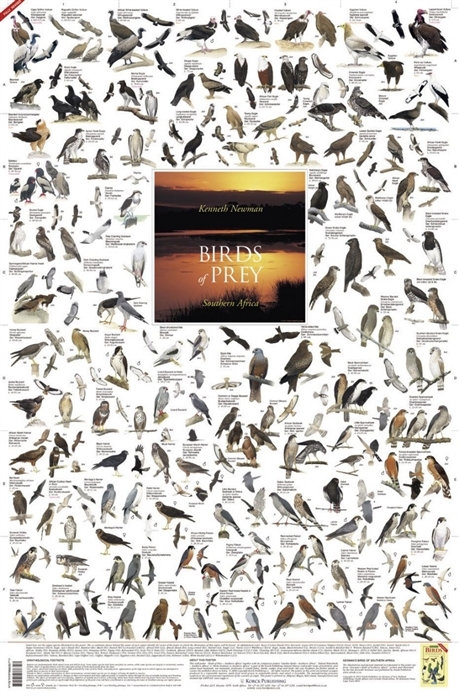 This poster shows all 68 species of bird of prey found in Southern Africa. 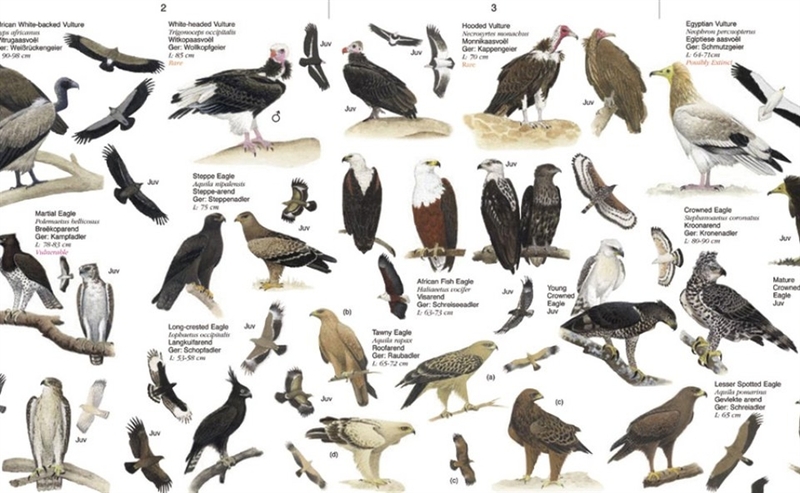 Among the raptor families represented on this poster are: buzzard, eagle, snake eagle, falcon, goshawk, harrier, marsh harrier, hawk, hobby, kestrel, kite, sparrowhawk & vulture. Easy co-ordinates and an alphabetical species list allow you to quickly locate the bird you are looking for on the poster. 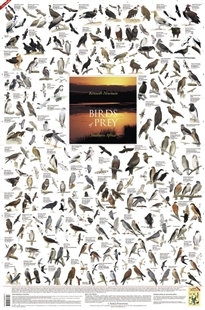 Bird names are listed in English, Afrikaans, German & Latin.